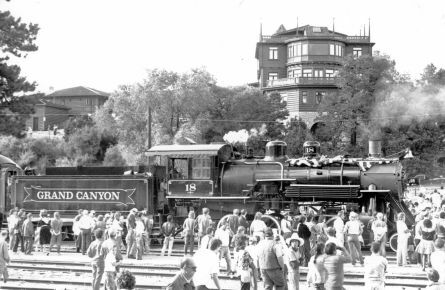 From its yesteryears of transporting ore through the Wild West to our present-day journeys in the heart of the canyon, the Grand Canyon Railway has enchanted millions of people from around the world since 1901—and now it’s time for you to experience the wonderful romance of a voyage by train. Take an unforgettable ride on one of our lovingly restored cars and hear folklore and tales from a crew who are still mezmerized by their spectacular surroundings. Be entertained by authentic characters and musicians who bring the Old West to life. And lose yourself in the majesty, the magnificence that is Grand Canyon National Park. 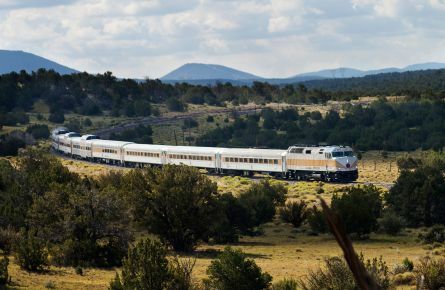 The Grand Canyon Railway departs daily at 9:30 a.m. from Williams, Arizona, which is about 30 miles west of Flagstaff, just off Interstate 40. Watch a remarkable world go by as you tour the countryside from the comforts of your classic train car. 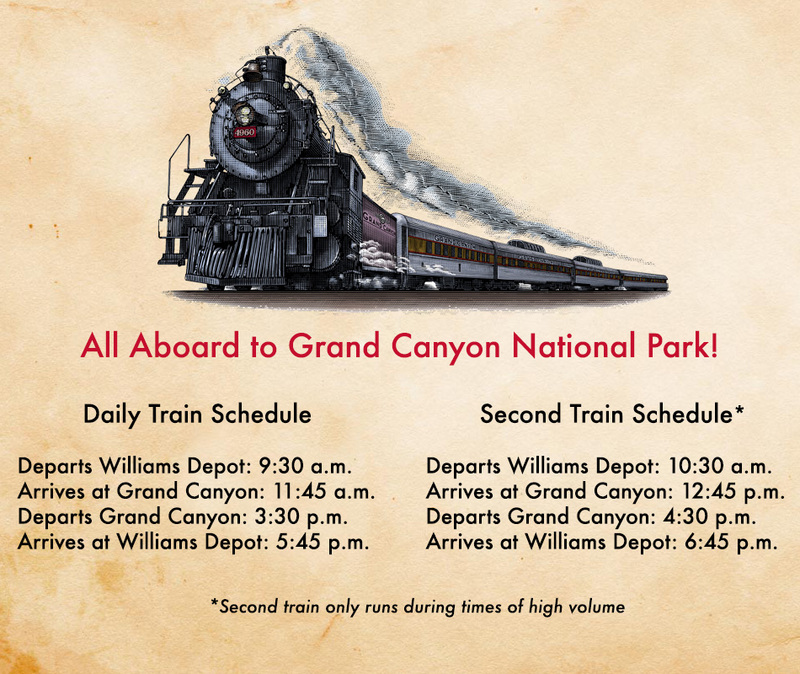 You’ll always enjoy a priceless experience with Grand Canyon Railway. 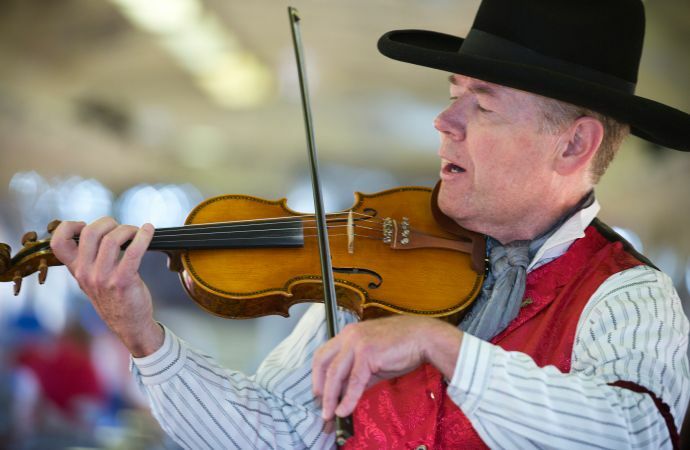 Enjoy a nostalgic trip back in time with musicians, attendants that share historical and regional knowledge and even an old-fashioned train robbery. Experience the way of the west on the way to the canyon. Grand Canyon Railway is surrounded by both beauty and history—and nowhere is that more evident than at our historic train depots. 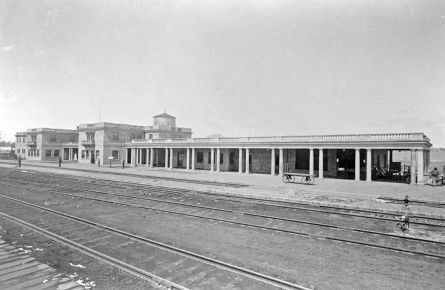 Dating back to the turn of the century, even our train depots are national historic landmarks, including one of only three remaining log depots in the United States. The Grand Canyon Railway is home to a fantastic collection of historical passenger cars—each with its own story—as well as our famed diesel locomotives.